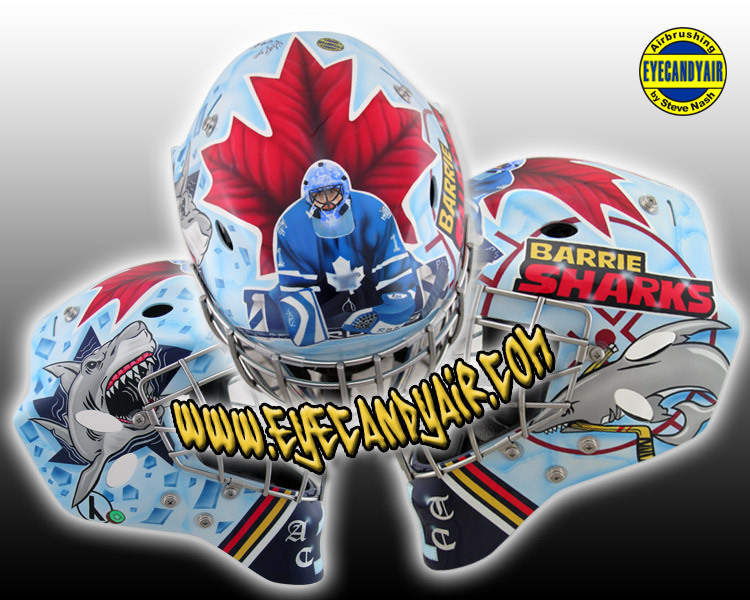 Custom painted Sportmask for HOCKtoberfest with airbrushing by Steve Nash- "The Goalie Mask Specialist"
This mask design was rendered from a winning contest entry for the 2009 HOCKtoberfest female hockey festival "Design your Own Mask Contest". The preliminary judges (Brooklynite Hockey and Ice Magazine) narrowed down the choices from 71 entries to 3 in each age group! The final winning decision was made by Kim Bailey of the Ontario Women's Hockey Association.